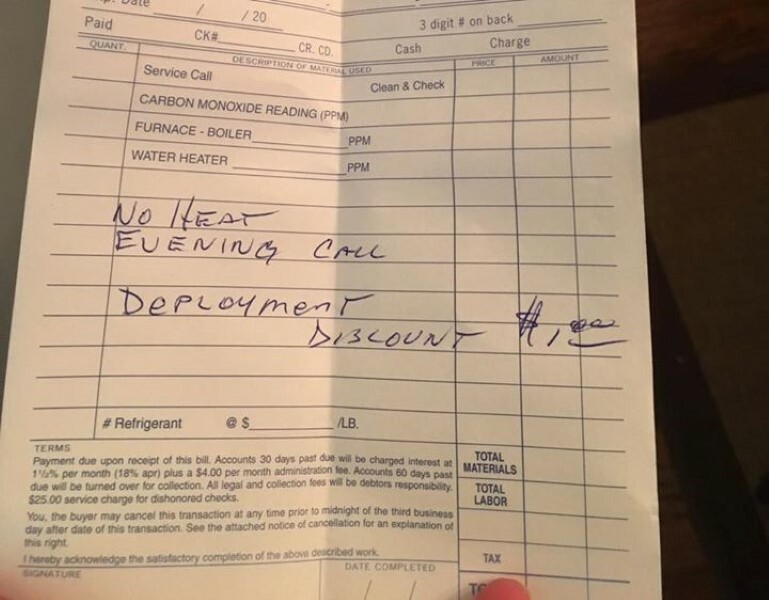 Mom Calls For Repairman To Fix Her Heater… She Can’t Believe When He Does THIS! A thankful young mom took to social media recently to share a story of gratitude to a local businessman who did something truly touching for her and her family. Bridget Stevens just had to tell everyone about the wonderful thing that Paul Betlyn from Betlyn Heating and Cooling did for her. In a heartfelt story written (and since deleted) on Facebook, Bridget explains her dire situation and how the man went out of his way to do something extraordinary which really touched her. 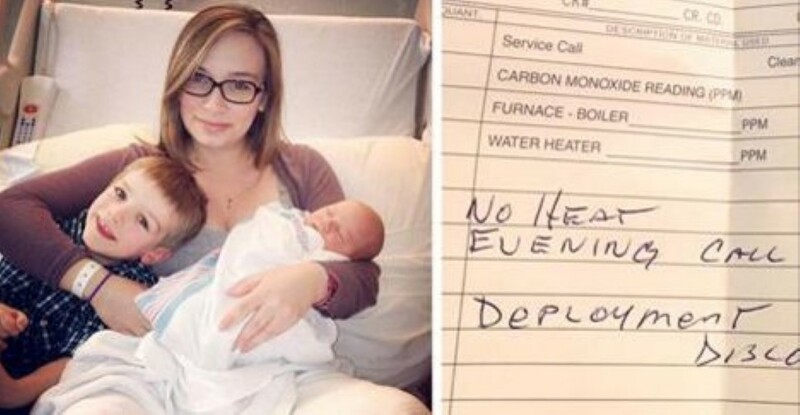 Her heater broken down and her husband – who is serving in the forces abroad – couldn’t help. Paul came, fixed things and gave her a very odd-looking bill… He charged Bridge a buck! That’s what community spirit is all about. People looking out for one another. What a wonderful gesture! Previous articleVolvo Are About To Make ‘Death Proof’ Cars… INCREDIBLE! Next articleVisit The Place Where The Weather Is Always ‘HOT’! Students Planned Janitor’s Surprise For Ages – When He Realizes What’s Happening? WOW! Black Belt Marine Demonstrates How To Disarm Someone With A Gun In AN INSTANT!